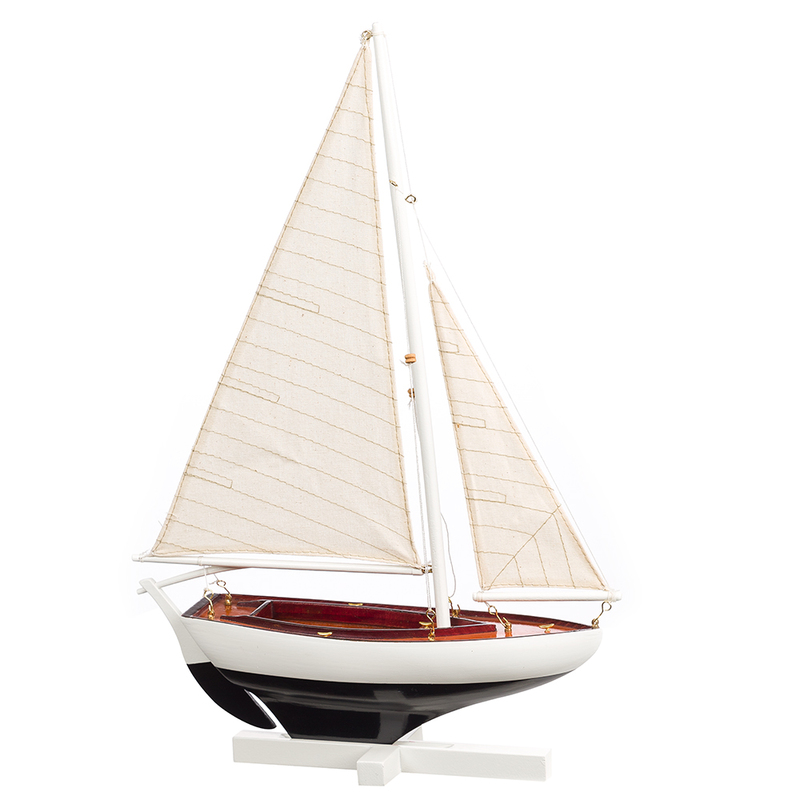 Nautical enthusiasts and model collectors alike are sure to fall head over heels for the stunning Sunset Sailor. Available in four different colours, each miniature sailing dinghy is painstakingly crafted by hand from wood and comes with genuine cotton sails and a pivot rudder. Whether you’re an avid sailor or new to model collecting, a Sunset Sailor is a fabulous addition to any bookshelf. Equipped with cotton sails and a pivoting rudder. Features an attached display stand. Dimensions: Approx. 26cm (l) x 41cm (h) x 7cm (w) (Including Stand & Sails).